Mystery surrounds how a Canadian fire captain who went missing in New York State ended up almost 3,000 miles (4,800 km) away in California. 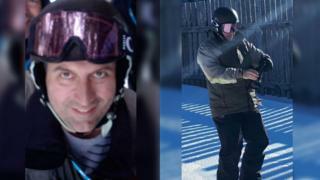 Constantinos Filippidis, 49, vanished on 7 February during a ski trip on Whiteface Mountain. On Tuesday morning, he called emergency services from Sacramento airport and told them he was a missing person. But Mr Filippidis says he remembers very little about his journey across the country. Sergeant Shaun Hampton, with the Sacramento Sheriff's Department, said Mr Filippidis believed he had sustained a head injury at some point in the last few days.